March: It’s the month that celebrates the Official Start of Spring and St. Patrick’s Day…and what a better time to get outside and exercise! 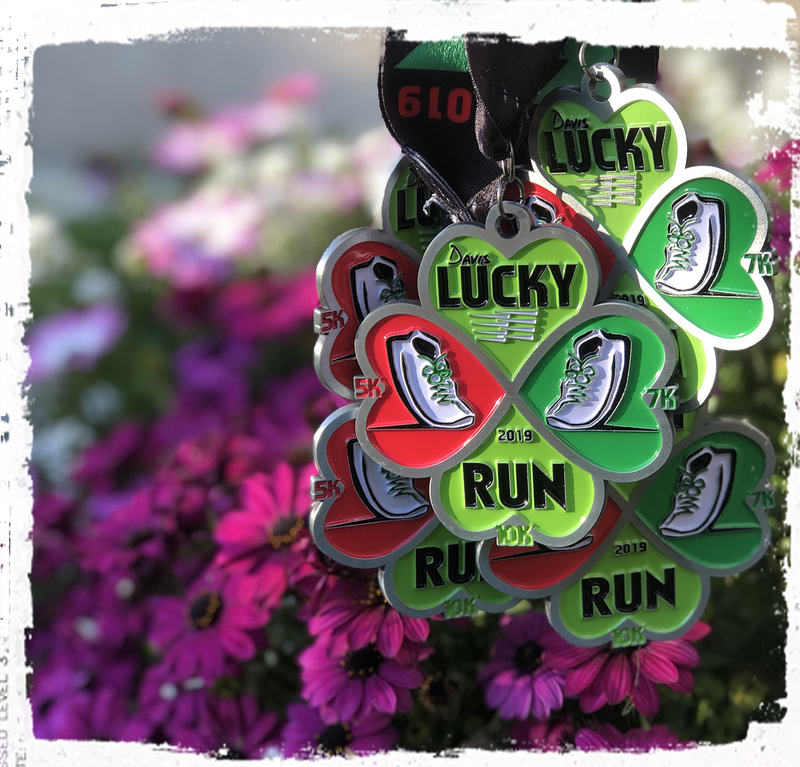 Celebrate St. Patrick’s Day and the start of spring in a lucky sort of way by participating in the Lucky Run of your choice. Whether you aim to go for our 5K, 7K, 10K or Kids Run, we look forward joining you in the celebration. PLEASE NOTE: FOR LUCKY RUN THERE IS NO ``PACKET PICKUP`` IN ADVANCE. All bib number and t-shirt pick up will be handled on race morning starting at 6:30 AM. Pre-registered bib/shirt pick up will be located near the start/finish area at Davis High School. ID is not required. Online registration is available by linking here. All registration is handled online. A processing fee applies to all entries, and this covers the costs of your secure transaction with our provider as well as the fees due to the credit card companies. Look up/confirm an entry here. Pre-registered bib/shirt pick up will be located near the start/finish area at Davis High School. A complete schedule of the entry fees is available for each race here. A processing fee applies to all entries. The processing fee covers the costs to keep your payment and personal information secure, fees to our online registration provider and fees to credit card merchants. We are constantly striving to work with online providers that offer the most flexible and secure online registration while at the same time at the lowest cost. PLEASE NOTE THAT FOR LUCKY RUN THERE IS NO PACKET PICKUP IN ADVANCE. Interested in volunteering? Fantastic! A list of open positions and timeframes is available here. Weather: This event happens rain or shine. We reserve the right to cancel the event if there is an unforseen act of God which would render producing the event unsafe for our athletes, volunteers, staff or community. Refund/cancellation & Entry Rules: All entries are non-refundable and are not transferable to another event. No refunds under any circumstances. Transferring Your Entry To A Friend/Family Member: If you wish to transfer your entry to a friend or family member in the case that you become injured or cannot otherwise attend, you may do so on or before 11:59 PM Tuesday, March 19, 2019. There is no fee to transfer to a friend/family member but your request must be completed online through your runsignup account; or if you are unable to achieve it via the online system, your request must be made in writing via email to us by 5PM on March 18, 2018. Doing so via your runsignup account will send an email to your friend, who may then accept the transfer request and provide their information, shirt size and agree to the liability waiver. No phone, fax or in person requests for entry transfers. The person to whom you are transferring your entry must complete the request on or before 11:59 PM Friday, March 22, 2019. Changing Your Race Division: We will accommodate changes to your race division if they are made in advance of race weekend. That is, if you enter the 10K and wish to switch to the 5K, we can make this adjustment. You can do so within your runsignup account any time prior to 11:59 PM on March 19, 2019. If you are unable to do so online, please email us by 3/18/19 and we will make the change for you. We kindly ask that all division changes are made in advance. Division changes that are made on race day slow down the results process and also can result in inaccurate race results category/overall placements for you and the entire rest of the event, until your division is able to be switched. Therefore, we are asking that all division changes are made in advance of race weekend. Participating in the division for which you are not registered: is strictly not allowed. Entrants who run or walk a division for which they are not registered may be disqualified, might not receive a finish time and will be ineligible for awards. To clarify, if a participant is registered for the 10K and completes the 5K instead, they may be disqualified as outlined above. Race Communication: All race communication is done via e-mail so please include an email that you check on your entry. Online entry will result in a confirmation email within 15 minutes of entry. Emails are not sold or traded. View PDF of course maps here. Age group awards will be presented three deep in each age group in the 5K, 7K, 1K. An additional prize will be presented to the top male and female finisher in each race. Awards will be available for pick up on race day. Booth space is available on race day. Each booth space is 10′ x 10′ and the expo takes place on asphalt. Please note: for those interested in our Davis Stampede / Lucky Run combo registration package (20% discount) please use this link to register. Available through 12/26. A processing fee applies to all entries. The processing fee covers the costs to keep your payment and personal information secure, fees to our online registration provider and fees to credit card merchants. We are constantly striving to work with online providers that offer the most flexible and secure online registration while at the same time at the lowest cost. Half Marathon, 7K and 7 Mile Entrants will receive a t-shirt, chip timing & eligibility for awards. Half Marathon entry includes a finisher medal. Kids Run entry includes a finisher ribbon. 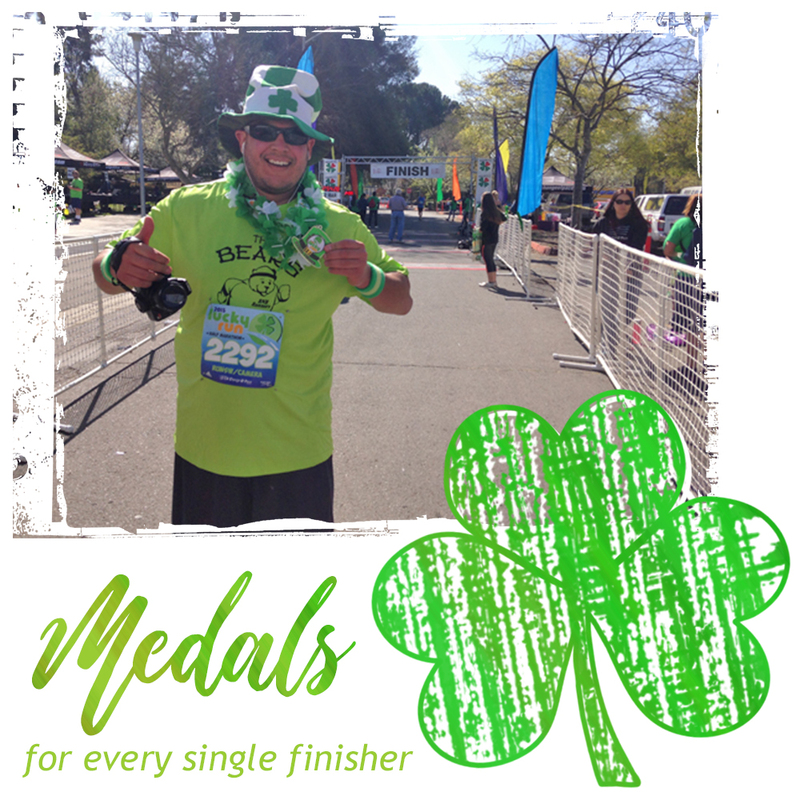 7K, 7 Mile and Kids Run entrants may add on a Finisher medal for an additional $5.00/medal. Included with each entry is a cotton t-shirt (Short sleeve, unisex sizing). Technical T-shirt Upgrade is available for $5.00. Men’s and women’s sizing available. Shirt is short sleeve. Half Marathon entry includes a Finisher Medal. 7K, 7M and Kids Run entry does not include a finisher medal. You may add one on to your entry for $5.00. Deadline: March 1. T-shirts and sizes/cuts guaranteed to entries received on or before March 16th. Entries received at Packet Pick Up and on Race Day are limited to t-shirt stock on hand, while supplies last. Shirts will not be held on race day for no-shows. Field limits are: 1,000 for the Lucky 13 Half Marathon, 2,000 for the 7K and 7 Mile combined. No field limit for Kids Fun Runs. No refunds or transfers. Event happens rain or shine. All entries are non-refundable and are not transferable to another event. Event happens rain or shine. No refunds under any circumstances. We reserve the right to cancel the event if there are extreme unforeseen circumstances that would pose a safety hazard to either our event participants, volunteers or staff. No refunds of the “difference” if you drop down from Half Marathon to 7K/7M. If you wish to transfer your entry to a friend or family member in the case that you become injured or cannot otherwise attend, you may do so on or before March 14, 2016. All race communication is done via e-mail so please include an email that you check on your entry. Emails are not sold or traded. You can pick up your registration packet (bib number and t-shirt) on Friday, March 18th, at Fleet Feet Davis from 1:30 PM to 6:30 PM. If you are unable to pick up on Friday, you may do so on race morning at the start/finish area (Davis High School) starting at 6:30 AM. Arrive by 7:00 AM if picking up or registering on race day. The Half Marathon, 7 Mile and 7K will be timed using RFID chip timing. The timing chip will be adhered to your bib, and all you have to do is wear your bib on the front of your body to be timed. Results will be posted in real time (on available computer kiosks) both at the event as well as online. Tracking will be available for spectators who wish to “follow” a participants’ progress. Age Divisions for the 7K are: 9 and Under, 10-12, 13-15, 16-19, 20-24, 25-29, 30-34, 35-39, 40-44, 45-49, 50-54, 55-59, 60-64, 65-69, 70+. For the 7 Mile age divisions are 15 and Under, 16-19, 20-24, 25-29, 30-34, 35-39, 40-44, 45-49, 50-54, 55-59, 60-64, 65-69, 70+. Half Marathon divisions are 15 & Under, 16-19, 20-24, 25-29, 30-34, 35-39, 40-44, 45-49, 50-54, 55-59, 60-64, 65-69, 70+. Awards will be presented to the top overall male and female finisher in each distance as well as to the top three male and female finishers in each age divisions. Age group placement is determined by chip (net) time. Top three overall are determined by gun time. Awards will be courtesy of both Fleet Feet – Davis, Adidas and A Change of Pace. Volunteers are needed to assist on race day with areas such as: course monitors, course water stations, lead cyclists, registration and t-shirts, finish line, kid’s area and refreshments. If you would like to sign up as either an individual or a group, please e-mail our volunteer coordinator here. All volunteers will receive a t-shirt! A sweat/gear check will be available on race day near the starting line. Here, you can leave your warmer layers while you participate in the event. While the area will be secure and your bib number will be require to claim your items, we will not be held responsible for lost items, so please do not leave valuables. The sweat check will be secure until 12:15 PM. The event will host four kid’s fun runs for those ages 12 and Under. Distances are: 1 mile, 1/2 mile, 1/4 mile and 200 yard dash. Children entered in this category may participate in one, two, three or all four distances (we encourage that kind of enthusiasm!). Each finisher will receive one finisher’s ribbon and a short sleeved t-shirt. The kid’s runs are non-competitive and times will not be kept. Before and after the kid’s runs, a bounce house and face painting (both complimentary) will be available (weather permitting). Kids Fun Runs will start at 11:00 AM and start with the longest distance first. Businesses are invited to become an exhibitor at the event. It provides your company with the opportunity to showcase, demonstrate and/or sample your product or services to over 3,000 athletes, event spectators and volunteers. For further information, please e-mail Jeannine Henderson. The A Change of Pace Foundation, a 501(c)3 non-profit organization based in Davis, is the producer of this event. Beneficiaries include the A Change of Pace Foundation, UCD/Sac State ROTC, and other area non-profit groups. A Change of Pace uses net proceeds to sponsor after-school youth running programs, provide scholarships to our events for those in need, and support exercise programs in our community. * Start times subject to change. 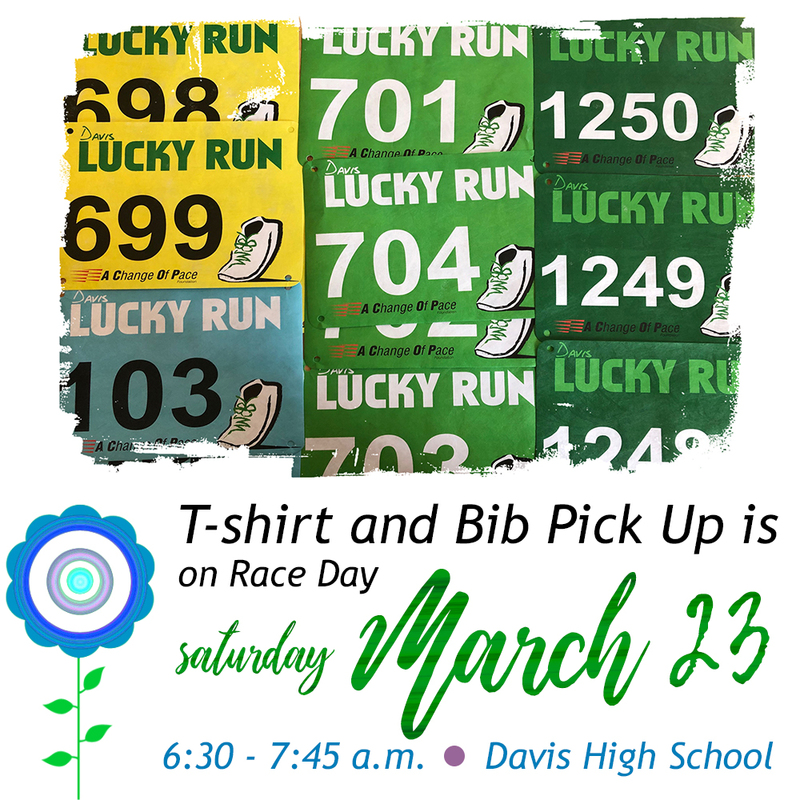 The Lucky Run will start and finish at Davis High School, adjacent to Community Park, in Davis. There is ample parking in the main lot at Davis High School, at 315 West 14th Street in Davis, 95616. 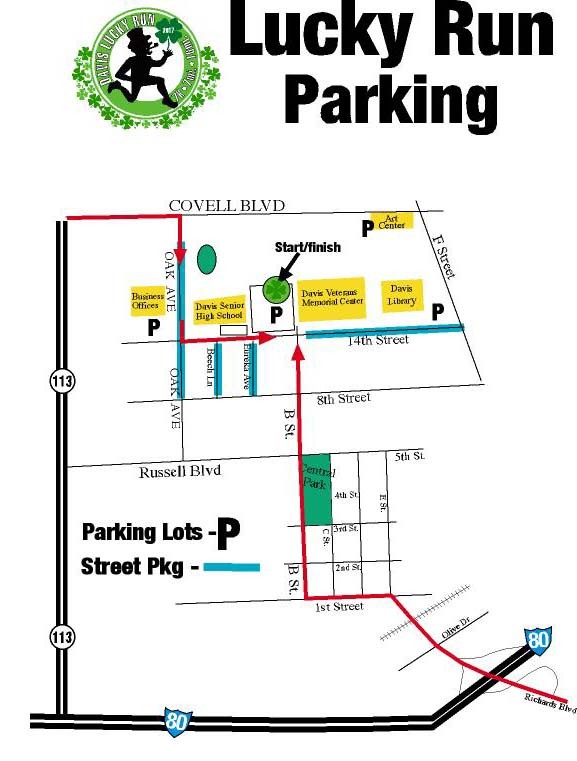 Overflow parking is available in the gym lot off Oak Ave. (one block west), along adjacent side streets (14th St., B Street, Oak Ave., F Street) and in the Davis Art Center Parking Lot (Enter off Covell Blvd). Take I-80 West to Davis. Exit at Richards Blvd. and go right (north) towards Downtown. Turn left at the first light (1st Street). Turn right at the stopsign at B Street. Continue on B Street until it dead-ends at 14th Street. Turn left. The high school parking lot will be on your immediate right. Take I-80 East to Davis. Exit to Hwy. 113 North towards Woodland. Exit at Covell Blvd., and turn right. Continue approximately 2 Miles until Oak Avenue (stoplight) and turn right. The high school is on your left. You may park in the Gym lot (on Oak St. on your left), or, continue to the stop sign at 14th Street, turn left, and then left into the main lot at the high school. Take I-5 South towards Sacramento. Exit Hwy. 113 South towards Davis. Exit at Covell Blvd. and turn left. Continue approximately 2 Miles until Oak Avenue (stoplight) and turn right. The high school is on your left. You may park in the Gym lot (on Oak St. on your left), or, continue to the stop sign at 14th Street, turn left, and then left into the main lot at the high school. 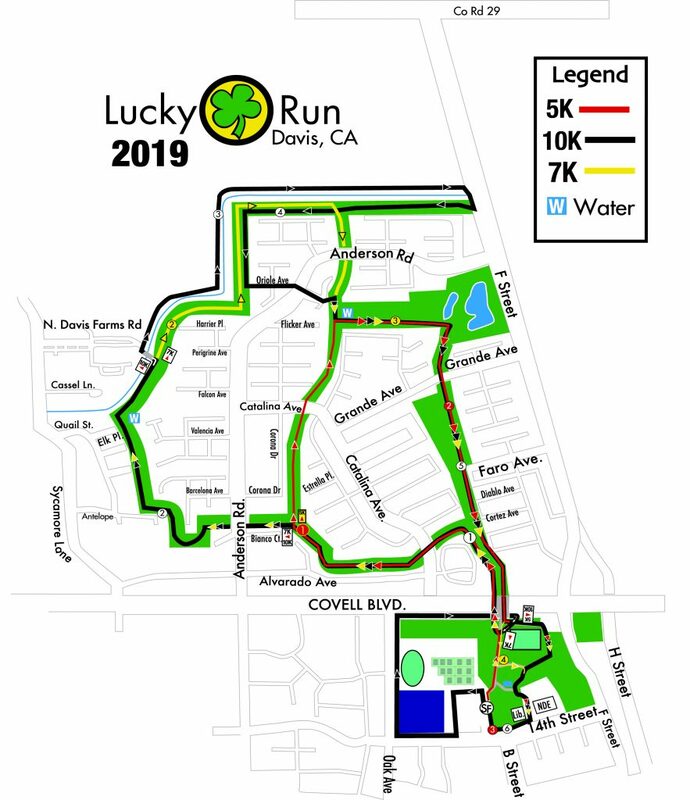 All courses for the Lucky Run are flat, loop courses that start and finish at Davis High School. 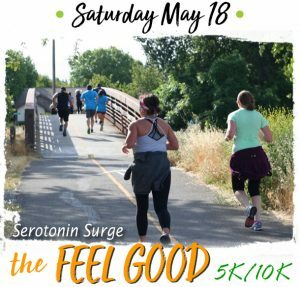 The 7K, 7 Mile and Lucky 13 Half Marathon travel through Community Park and the North Davis greenbelts and residential streets. The Half Marathon is paved and the majority is asphalt. There will be two fluid stations on each the 7K and 7 Mile courses, which will have water and Gatorade available. The Lucky 13 Half Marathon will have ample support with six fluid stations. CLICK HERE for a printable course map, including Water Station (“W”) locations. All fluid stations will offer water and Gatorade. Race Results for the 2016 Lucky Run are below. Results are considered preliminary for the first 48 hours after the event. Corrections? Email us here. Awards will be available for pick up in the “Awards Tent;” at the race. You may pick up unclaimed awards at Fleet Feet Davis starting on Wednesday, March 23rd at Noon. Awards are not mailed. For previous year’s results, please scroll down to the bottom of the page. A list of commonly asked questions about the Lucky Run. If your question is not answered here, we’d be happy to correspond with you via e-mail. Contact us here. Q. Can I run/walk with my child in a baby/jogging stroller for this race? A. 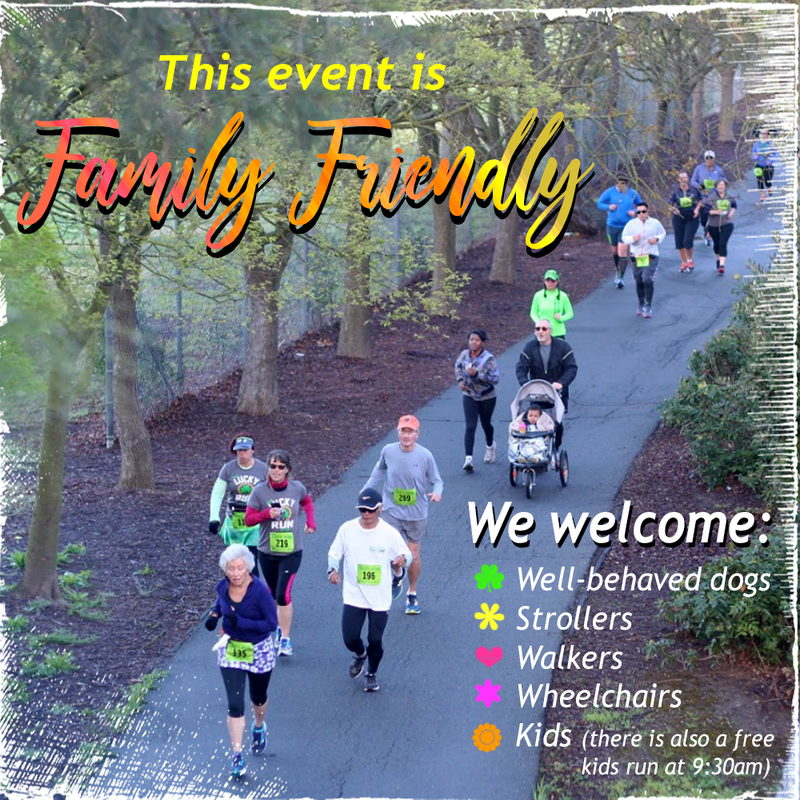 We do permit baby joggers/strollers for this event, but we ask that you start in the back of the back, whether you are running or walking. This is for your safety and for the safety of those around you. Please note that scooters, bikes, skateboards and rollerblades are not allowed. Q. Do I need to register my child who will be sitting in the baby jogger? A. No, you do not. However, note that they will not be receiving a t-shirt. Q. What is a technical t-shirt? A. Technical t-shirts are made of lightweight polyester (not cotton) and ‘wick’ moisture away instead of absorbing it; cotton shirts absorb water and become heavy when wet. Q. I registered for the 7 Mile, and I’d like to switch to the 7K. What should I do? A. Please e-mail us and we would be happy to make the switch. If during race weekend, you may make these switches at Packet Pick Up or at Registration on Race Morning. You can reach us at info@changeofpace.com. Q. Can I run/walk with my dog for this race? A. Sorry, but pets are not allowed, except for seeing-eye dogs. While we realize it is fun for both you and your pet to run/walk together, this policy has been established by both our insurance company and us for safety reasons. Q. May I wear an ipod during the race? A. We discourage the use of ipods during the race. We love music, but we want you to be safe. The reason we discourage ipods is because the headphones impair your ability to hear the directions of volunteers and Police on the course, emergency vehicles, and the runners around you. If you do elect to wear headphones, we ask that you wear them in one ear only or keep the volume at a level so that you can hear vehicles and people around you. Q. Do you accept credit or debit cards for payment for race day registration? A. We do. We accept cash, check and debit/credit. Checks can be made payable to A Change of Pace Foundation or “ACOP”. Q. My group is interested in volunteering for this race. Who do we contact? Q. Is there a Kid’s Fun Run associated with this race? A. We are hosting Kid’s 1/4, 1/2 & 1 mile fun runs, for kids ages 12 and under and a 200 yard dash for those ages 5 and under. The kids races will start at 11:00 am. Q: Is there a finisher’s medal? A: Yes, there is a finisher’s medal for the Lucky 13 Half Marathon distance and also an optimal medal for the Lucky 7 (7M and 7K). Kids Fun Run finishers will receive a ribbon. Q. 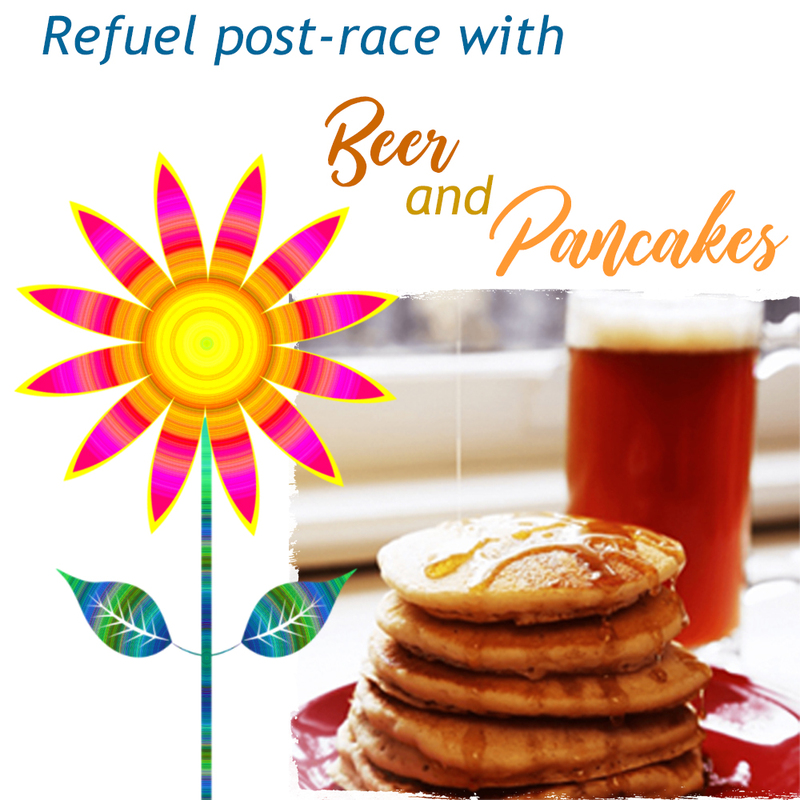 Do you offer complimentary entries for elite athletes for this race? A. Sorry, we do not. Q. I registered and now I can’t make it. May I get a refund? A. Sorry, entries are non-refundable and cannot be transferred to another event. If you would like to transfer your paid entry to the Lucky Run to a friend, we can make that accommodation if you email us by February 28th to make the adjustment. All requests for entry transfers must be made in writing. Q. Will you have a sweat/gear check for this event? A. Yes. There will be a tent set up near to the finish line/registration area where you can “check” your sweats. You will be provided with a plastic bag on which you will write your bib number. After finishing the race, please come back to the sweat check tent in a timely manner to claim your bag. While the area will be secure, we will not be held responsible for any lost items, so please do not leave valuables. The sweat check tent will remain open until Noon. Q. 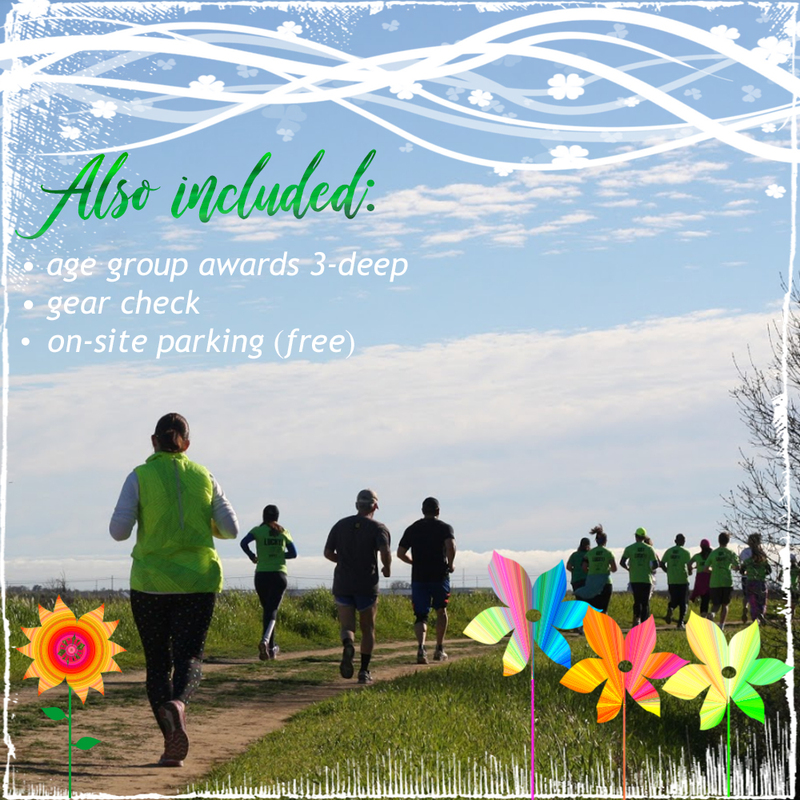 Do you have race day registration? A. Yes, absolutely (as long as field limits have not been reached)! Race day registration will be available for all events starting at 6:45 a.m. It will be located at Davis High School, the start/finish area for the event. . We recommend arriving one hour prior to the start time of your race in order to allow sufficient time to park, register, use porta-potties, etc. Q. Do you have pace groups for the Half Marathon? A. Yes, the Golden Valley Harriers will be organizing pace group leaders for goal finish times from 1:30, to 2:30, in five minute increments. Q. Is there a cut-off for the Half Marathon? A. The course cut off (course support) is four hours (12:00PM). The last few miles are on greenbelts, thus there is no worry about automobiles. The finish line will remain open until all finishers have come in. Q. Could you email me the coupon code? A. We are asked this every so often on facebook and by e-mail. There are no coupon codes floating around out there in cyberspace for athletes to use to save a few bucks on their entry. We believe it is important to be upfront about our pricing, and we don’t want you to have to search the internet for a code when you register for one of our races. The prices are wholly determined by the distance you wish to run/walk and the date you register. If we ever offer a promotion, it’s at the same time registration opens for a race, so that there is never a “penalty” for registering early (and then finding out that there is a deal or coupon offered later on). There are no groupons. coupons, or discounts. The only reason the coupon code line appears on the online registration form is for use in the unique situation of a sponsor entry. Q. 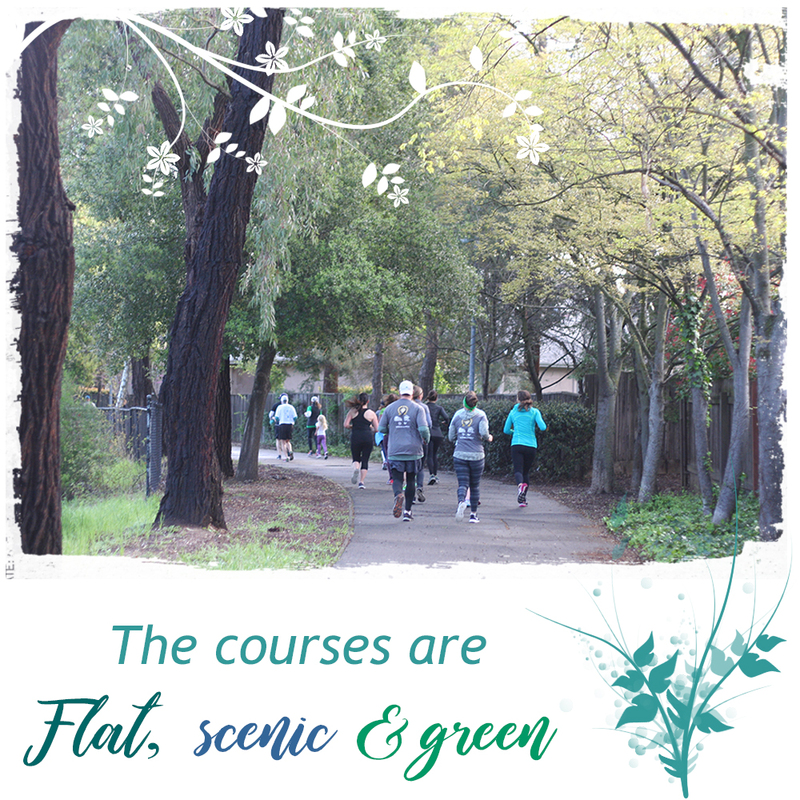 Are the courses paved? A. Yes, they are and are mostly asphalt, although there are a few sections of concrete bike path. A. We have a limited number of full and partial youth scholarships available for this event. We encourage you to submit your request early, as scholarship requests are reviewed in the order received. To submit a request, please put your request in writing, detailing your situation and need. You may e-mail it (preferred) or submit it in writing to: Lucky Run, c/o A Change of Pace Foundation, 1260 Lake Blvd., #245, Davis, CA 95616. The deadline to submit requests is February 25th. Q. Can you suggest a hotel? A. We suggest viewing the hotels in Davis via the Yolo County Visitor’s Bureau website. A list of hotels is here: http://www.yolocvb.net/hotels-and-inns-davis.html/. Q. Where will results be posted? Q. Is this event USA Track and Field Sanctioned? Q. Are the courses USA Track and Field certified? A. The half marathon is certified. Still have a question? E-mail it to us. 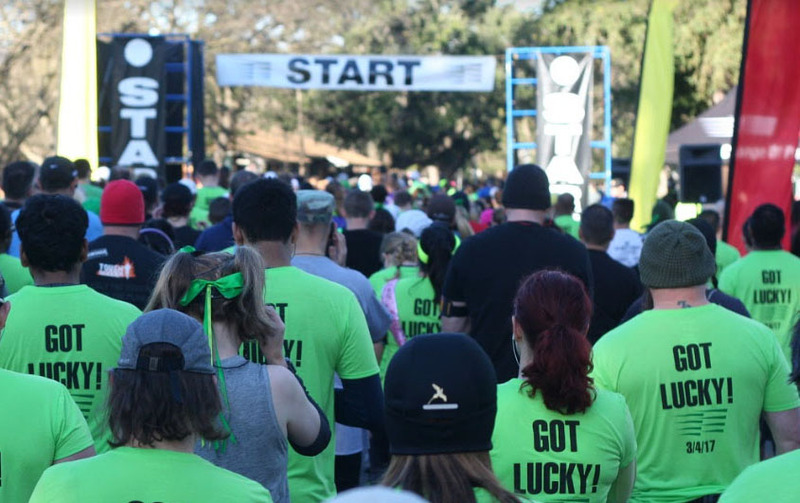 The Lucky Run is an annual running & walking event that takes place each year in March. It celebrates the start of spring and St. Patrick’s Day. Distances include the Lucky 7 races (7K and 7 Mile) as well as the Lucky 13 Half Marathon (13.1 Miles). For the littlest leprechauns, we offer kids fun runs. • Booth Set-Up is from 6:00-7:15 AM on event morning. • Expo hours are from 7:30 AM to 12:00 PM. • 2,200 registered participants expected. • 2,000 spectators and 200 volunteers. 10’x10′ Booth Fee is $250.00. A $50 discount is offered to City of Davis businesses. A non profit rate and/or a fellow race director rate is available is available at $150.00 per booth. Must be a race director of a running event. • Resale license & business license are required for any vendor wishing to sell goods. • Booth space includes one 8’ table and 2 chairs. Table cloths and tents are not provided by event. • Site map, confirmation and parking passes e-mailed a few days prior to the event. • Expo takes place on cement in the parking lot. • 10’x10’ EZ-UP tents are recommended. • Event takes place rain or shine. Please contact Jeannine Henderson for additional information or questions regarding becoming an exhibitor at the event. You will receive an automatic email confirmation upon registration. All participants (who provided a valid email) should expect to receive a final e-mail confirmation / event reminder approximately four days before the event. A registered participants’ list can be viewed online here for your convenience. If you need to switch distances or t-shirt sizes, you can log in and modify your entry here. Facebook: Follow A Change of Pace Foundation on Facebook. We also have a page for the Lucky Run here. The Lucky Run facebook page will contain the most up to date information on this event. Twitter: Our username is @acopfoundation. 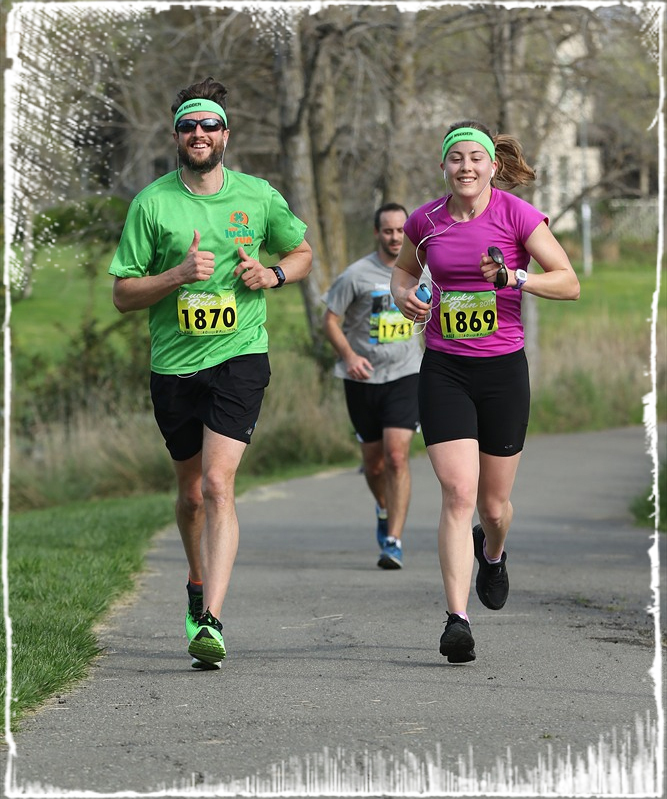 Race packets (bibs & t-shirts) can be picked up at Packet Pick Up (3/18) or Race Day (3/19). ID is not required and friends can pick up for you. After 3/14 at 11:59PM, please make all requests at Packet Pick Up or race day.